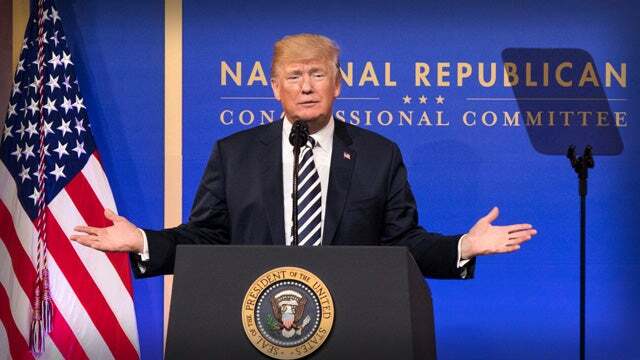 RUSH: Trump pays attention to what his supporters think. So let’s go to the phones and find out what kind of neurons are floating around in your skulls out there. We’re gonna start with Marcus, Farmington Hills, Michigan. Great to have you, Marcus. How you doing? CALLER: — he wouldn’t answer such a stupid question. 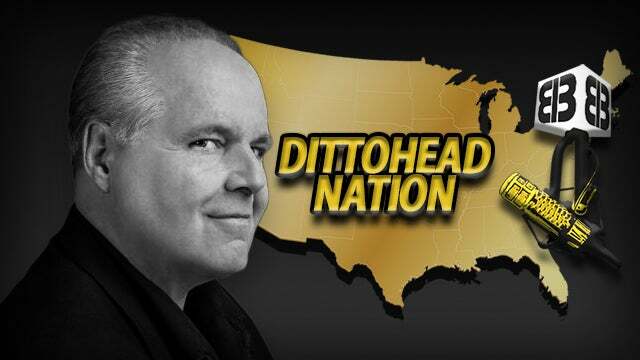 RUSH: Let’s remember who and what we’re dealing with here. In the first place, it has been reported that these are not actual questions written by Mueller. CALLER: It could be, but like you just said five seconds ago, why leak anything? What’s going on here? Are they trying to create some kind of a facade again or something? Nah. I don’t believe it. RUSH: — thing is that leaking this stuff is designed to demonstrate the special doesn’t have anything and is designed to take the winds out of the sails of Mueller by totally destroying whatever surprise he could have intended to hit Trump with. CALLER: — long, long time ago. RUSH: What do you think this is, then? 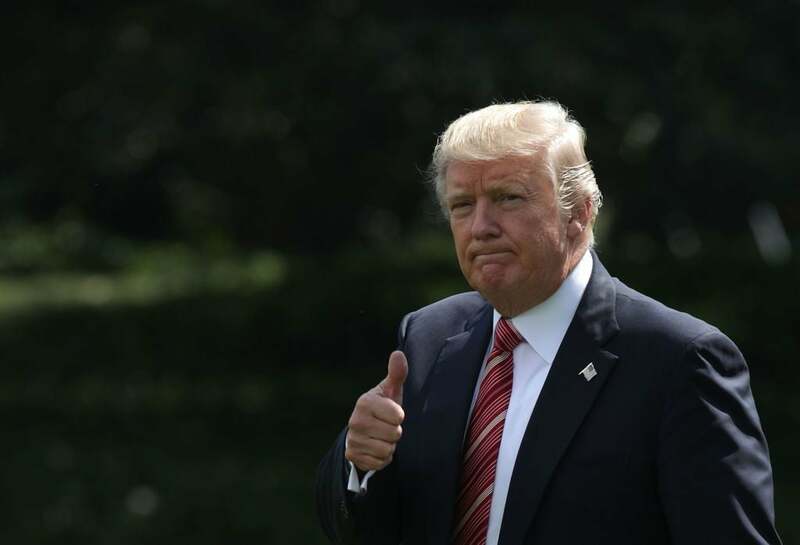 CALLER: Well, I think somebody wrote it up again ’cause we’re coming to a head here with Trump a little bit with the whole Korean thing and the Iran thing. And he’s starting to look real good out in the media. And he’s starting to look real good on Fox News and all that. Everybody’s praising him. RUSH: Hey. He always looks good on Fox News. CALLER: The left hates this. RUSH: Oh, they do. His approval numbers continue to skyrocket. It looks like he’s gonna win the Korean Peninsula thing that nobody’s been able to win for 50 years, the economy’s going great, things are going well. You think this is gonna remind everybody that Trump is actually a reprobate and stole the election? CALLER: Well, they want to keep that whole thing going, at least until the 2018 midterms. You know, and if he keeps looking positive and if he actually solves this whole thing with North Korea, that is so huge. CALLER: That is so huge on the world stage, not just the United States. RUSH: Right. If he gets us out of Obama’s fake Iran deal, that’s another one. CALLER: That’s another one. If he solves something over there, and you even got Condi Rice coming out today and saying, yeah! CALLER: And, you know, she’s a highly respected person obviously. RUSH: She is, and a member at Augusta National. She says: I wouldn’t necessarily have pulled out because I’d want to be able to manage the whole process, but I don’t think it’s gonna be any harm pulling out. I gotta quickly go. Give me a question answer to the question. “What did you think and do when you heard that I was gonna be hired to investigate you?” That’s supposedly one of the questions that Mueller wants to ask Trump. RUSH: Well, I know. But you’ve gotta remember what this is all about. RUSH: This is Crawford, Bay Shore, Long Island. Great to have you on EIB Network. Hello, sir. Crawford, are you there? Testing, one, two, three. He’s not there. Crawford, are you there? Well, what Crawford was gonna say is that he believes that the leak of these questions is the handiwork of Rudolph “Rudy” Giuliani. That he is the latest addition to the Trump legal team, that he understands what’s going on. Now, the New York Times said that their information, these questions were provided to them by somebody outside the Trump legal team. That’s why learned legal beagles believe it’s John Dowd, who’s a former member of the Trump legal team who resigned in frustration over supposedly Trump not listening to him about not talking to Mueller. 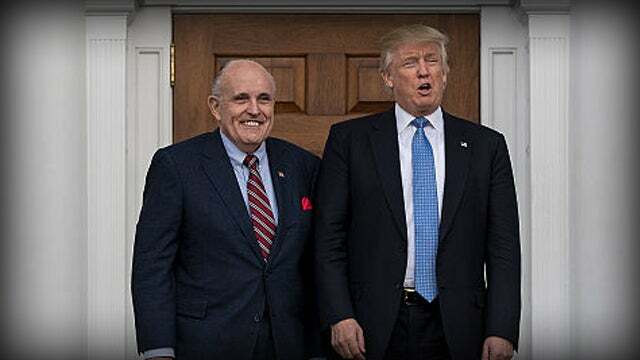 I remember Rudy, when he took the gig, he said his objective was to get this thing wrapped up in two to three weeks. Now, that, of course, I don’t think he was meaning in an exact two to three week time period, but to move this thing along, get it wrapped up. If you think this is Giuliani’s handiwork, does this do that? I’m just asking. I’m not asking with a preconceived answer here behind the question. I’m asking it open ended. Do you think the leak and publication of these questions furthers us toward an end to the investigation? And if you think that, I’d like to know why. Because these questions strike me as the questions you’d have on day one. And we’re into the second year of this. These questions should have been answered long ago, not by Trump, but I guarantee you their investigation’s got some of these questions answered already. But they want Trump’s take on it, if all this is legit, proof that this is about getting Trump. Okay. Kevin in St. Louis. You’re next. We’ll give you a shot. How are you doing, sir? CALLER: Hey, Rush. Thanks for taking my call. RUSH: Whoa, whoa, whoa, whoa, whoa, whoa, whoa, whoa, whoa. Let’s not just race through this. Information on who? CALLER: Well, like Comey, for one thing. If you remember, he was fired when he was in Los Angeles. So I’m sure that they raided his office and took his computers and have information there. And like I said, I think that Donald Trump knew this was gonna happen, and it’s phony, so there’s really nothing that they can do to him that he’s not prepared for. “Thank you.” Write it down. At the end of the interview you tell the president that we might need some follow-ups. We’ll submit them in writing. “Mr. Trump, we’re confused here. What time, again, did you say you had breakfast on the day you fired Comey?” And if it doesn’t come back 8:45 to nine, hello process crime, lying to investigators. And they can create a process crime any time they want. If you sit down and talk to them, the truth goes out the window. Even using your example, Trump wants to do this ’cause he’s got some dirt on Comey that nobody knows. And in an interview with Mueller, he could divulge this info on Comey. I guarantee you that if Mueller wanted to go get Comey, he would have done it long ago. If Comey was a subject, if Comey was a person of interest — and he ought to damn well be is the point. But he’s not, that we know of. Now, you may think my example is crazy. But it’s not, folks. These kinds of process crimes are attempted often. And now remember, police officers can lie in interrogations in order to get confessions. Supreme Court has said so. Kevin, thanks. Richard, Washington, D.C., you’re next. Great to have you, sir. Hi. CALLER: Hey, Rush. It’s great to talk to you. And I appreciate the points that you’re making. I just want to make three quick points. First of all, I disagree with your initial caller. Open-ended questions are not unprofessional. In fact, they’re exactly the kinds of questions that professional police investigators live off of. They want to ask those questions and get responses to them to see what’s there worth mining. And if you give them stuff through open-ended questions, that’s what exactly what they’re looking for. RUSH: Especially if you’ve got a talker like Trump. CALLER: Yeah, exactly. Second point. That list of questions that you were reading is not an inclusive list. There’s no guarantee that there aren’t other questions on that list. In fact, I’m sure that there are. And there may be questions generated in the interview itself that aren’t on that list. CALLER: And the third point is, as you just so aptly stated, the Supreme Court has long established that investigators can lie to you in the course of an investigation, but you can’t lie to them. That’s what sting operations are all about. A sting operation is a giant, contrived lie, and police investigators employ those all the time. RUSH: Richard, I have a take a break coming in 10 seconds. Can you wait? I got one thing else I want to ask you on the other side of the break. Can you hang on? CALLER: Sure. I’d be happy to. RUSH: And we are back with Richard in Washington. Thank you again for holding on. I want to… In addition to having one other question for you, I want to run something by you on the open-ended nature of the questions. You’re exactly right, but let me ask you this. You sound like somebody with some experience. If a prosecutor actually has evidence of a crime and is trying to prove it, what is the likelihood the questions would not be open-ended? If he’s got somebody he… Like, if he’s got a defendant, he’s got somebody on the witness stand or somebody he’s investigating and he’s actually trying to prove a known crime — he knows the crime’s been committed; he’s got evidence of it — he’s not gonna ask open-ended questions at that point, is he? He’s gonna bore in with specifics. RUSH: My point is when there’s no evidence is when you would go open-ended and hope the perp just starts vomiting things at you so that you can maybe tie some things together or go after intent. 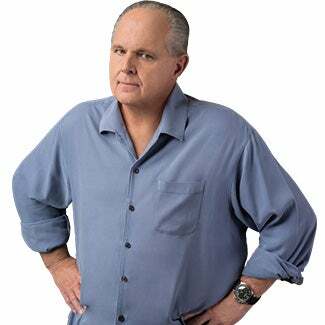 RUSH: I was thinking that it’s when the prosecutor doesn’t have any evidence that he would then go after every open-ended question he could come up with, in the hope that the target will give some responses that’d give you state of mind. Or that the target just starts trying to prove his innocence by continuing to talk and talk and talk and make himself more and more vulnerable. His open-ended questions are designed to get the perp to start talking. Specific questions limit — if the perp is smart. Anyway, aside from all that, the question I wanted to hold you over and ask you about is, why do you think this has all been leaked? What do you think…? Whoever did it, for what purpose? Have you had any thoughts on that? I’m just asking anybody. Everybody’s opinion counts here today, as far as I’m concerned, on this. CALLER: Well, it’s impossible to know. I think that you can make a very strong argument that this information was leaked in order to warn the president away from this. RUSH: But why would you have to leak it to do that? If his lawyers have these questions, why couldn’t they take him in the Oval Office, shut the doors, and say, “You do not — you do NOT — want to get anywhere near this. This is the last place you want to be”? CALLER: You don’t know what’s going on inside those quarters, and the president… We all know that the president listens to certain outlets. Fox & Friends. He probably listens to you and a couple of others. RUSH: And there’s nobody telling him to sit down and talk to this guy. Everybody out there is telling him not to do it. CALLER: We don’t know that! And don’t forget, the appeal of the prosecutors to the president is an appeal of pride — and it’s a very clever one. It’s a very clever appeal. You go after a person’s weak point. You know, the original Greek story about the Achilles’ heel. Achilles was a very powerful warrior that was basically immune everywhere except his heel. That was his weak part. Well, what do we know about Donald Trump? His weak point is his pride. RUSH: Okay. All right. 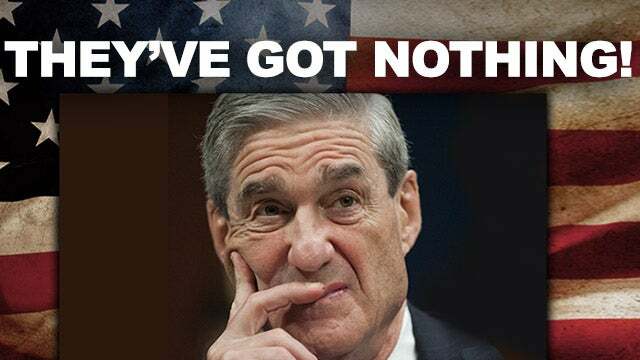 So Mueller could go in saying, “Mr. President, look, everybody here knows that you didn’t do this, and we really need to hear it from you and we can batten this down. We can wrap this up. But we just need to hear it from you.” So you think that Trump might be susceptible…? I know a lot of people who think Trump would buy into that yesterday. If Trump is needed to end this, if Trump’s the guy that can bring this…Remember, Mueller can lie. “Mr. President, we all know what’s going on here. “You had nothing to do with this, but we can’t wrap this up until you definitively tell us what we have to know here.” I know people who think Trump would fall for that simply because it appeals to his ego. It appeals to — like the caller says — his pride and so forth, and how he is totally necessary and needed for this to happen. Remember, if you’re Trump… There’s something else. If you’re Trump, you’re sitting there knowing full well you didn’t do any of this. Okay? And I don’t believe he did. Folks, I think the people that colluded and have attempted to overthrow the outcome of an election are all on the Democrat side. They’re all on the Hillary-DNC side. We know they rigged the elections in the primaries against Bernie Sanders. We know that. We know they hired Steele. We know all of the chicanery is on the other side. So if we assume that Trump didn’t do it, he knows better than anybody he didn’t do it, and he’s gotta be driven crazy by this. I would be! As the mayor of Realville, I would have gone nuts by now, after all this. If I’m being pursued for something that didn’t happen in the first place, A, I didn’t do it. But, anyway, that’s just speculation. We still don’t know — and like the caller said, we may not know — where these questions came from and what the purpose is. But people have their thoughts and want to weigh in. Who’s next, Mr. Snerdley for…? Okay. That’d be Ken in Orlando. It’s great to have you, sir. How are you doing? RUSH: Wait, whoa, whoa, whoa, whoa, whoa, whoa! Did you say poor self-image? RUSH: — is afraid people are gonna found out that he’s insecure? 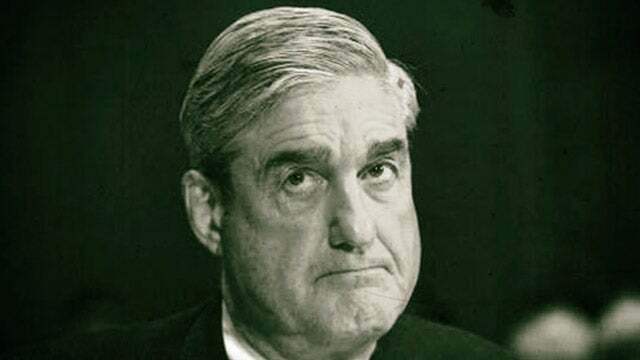 RUSH: Why does he want to talk to Mueller then? RUSH: Wait a minute. That doesn’t fit with somebody who has a poor self-image. Somebody who has a poor self-image (chuckling) is not gonna want to be in a room where Robert Mueller is. Look, I’m fascinated by the way people think. So all this is cool/fine with me, folks. Don’t get upset. I’m fascinated by it. Whether people are informed, not informed, or whatever, it still fascinates me the way people think, because when you learn that, then you can work with that. When you find out how people think, when you find out how they arrive at conclusions that they have drawn — or if they’re feeling rather than thinking. So all of that is valuable to me from both a PR and marketing standpoint as I host the program. I’m glad you called out there, Ken.